Formula One might have drama both on and off the track but it says a lot when there are only a few bust-ups between drivers over the years. There was Nelson Piquet and Eliseo Salazar, Eddie Irvine and Ayrton Senna and that confrontation between Schumacher and Coulthard. 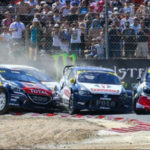 That pretty much pales in comparison to NASCAR, which sees punch-ups occur far more often, as was the case at this past weekend’s Las Vegas race. The fight, between Kyle Busch and Joey Logano, was sparked as a result of contact between the two at the last corner, sending Busch sliding into the pit road. Busch would be classified 22nd as a result of the contact, but Lagano managed to end up a respectable fourth. That wasn’t the end of it though, as Busch marched over to Lagano, throwing the first punch. This resulted in pit crew members and officials having to pull the men apart. 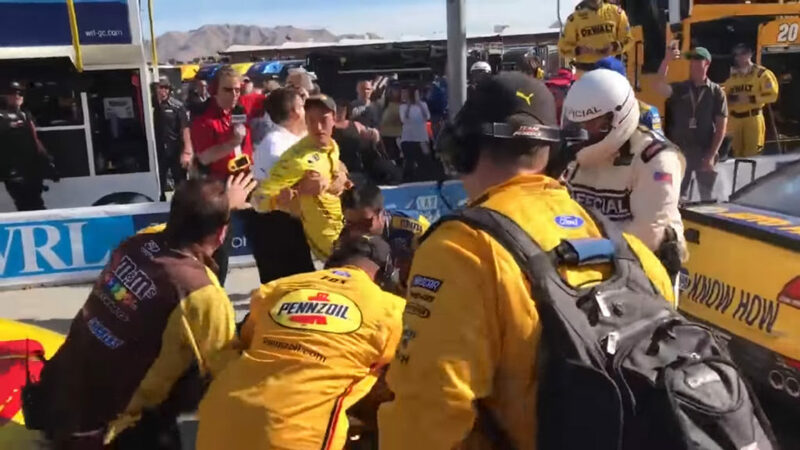 Watch: Kyle Busch punches Joey Logano in the face at @LVMotorSpeedway. Despite throwing the first punch, Busch left the brawl with a bloodied forehead.